The protagonist comes from the far north, but has awoken in the lands of the middle east during the earliest times of human civilization. 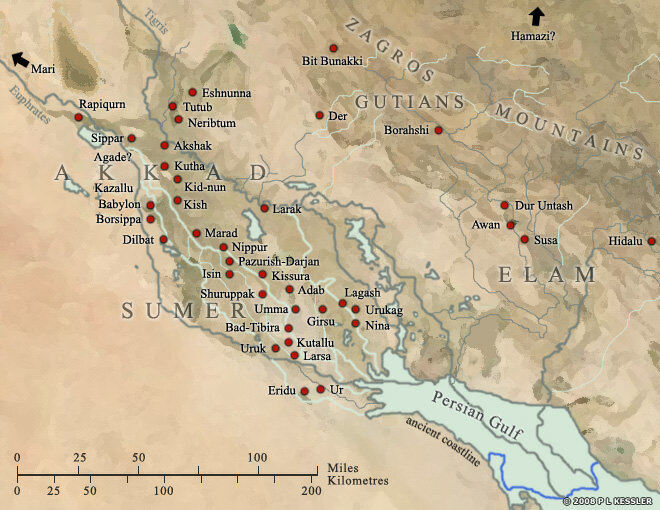 Ur Djupan Dal takes place in the fertile crescent of ancient Mesopotamia. During this period, the “Cradle of Civilization”, humans began to create magnificent cities like the fabled Eridu, Uruk, and Ur of Sumer (modern-day Iraq and Kuwait), some origins of which go back further than 5000 BCE. Longtime fans of Herbst9 will be very familiar with this setting. Over the last two decades, Herbst9 have been utilizing the medium of dark ritual ambient to take listeners on a journey into the ancient past. Their destination of preference has always been the fertile crescent, looking at the ancient Akkadian and Sumerian civilizations, especially in the Mesopotamian trilogy which includes: Buried Under Time and Sand, The Gods Are Small Birds, But I Am The Falcon, and the masterpiece Ušumgal Kalamma, a double disc which closes the series. Herbst9, as well as Atrium Carceri, are no strangers to collaboration. They recently released their magnificent collaboration with Penjaga Insaf on their own Shortwave Transmission label. Fans will also fondly remember their decade-old collaboration with Z’EV, who has unfortunately passed on this year. But, a noteworthy difference here might be pointed out; Ur Djupan Dal is the first of the Herbst9 collaborations to use the connector “&” instead of “vs”. This gives me the impression that they might have collaborated a little more closely with Atrium Carceri than on these previous endeavors, which may have been more akin to one artist sending a fully realized product to a second artist and having them present their work “against” the original, instead of “alongside” the original. However, without actually asking the artists, guessing may be pointless and fruitless. Looking at the collaborations of Atrium Carceri, we can begin to enter an exhaustive rundown of everything from close one-on-one collaboration, to other artists borrowing from his lore, to the massive 20+ artist collaborations that are the Cryo Chamber Lovecraft series. While the list may be exhaustive, the content has been consistently memorable, with some of my favorite dark ambient releases, for instance Onyx with Apocryphos and Kammarheit, falling under this tag. While the story seems to be independent of anything which has happened in the proper Atrium Carceri lore, there are certainly connections to be made. The Atrium Carceri lore was never based on just one individual. It has, instead, focused on multiple main characters over multiple locations and timelines. So, adding one more character and timeline to the list isn’t exactly unwarranted here. Taking some liberties: it seems like the story is based around a man from the Scandinavian region (timeframe uncertain), falling asleep by the sorcery of some enchantress and awakening in the distant past thousands of miles away in the fertile crescent, roughly the modern day Middle East. The character is immediately certain that there has been a vast change, but as he moves through the ancient city, he slowly realizes where he has gone, and takes in the beauty of this city in the ancient world, its architecture and its religion. The story truly captivates me in the third track, “Österländska Tempel”. Here it is the easiest to close one’s eyes and imagine themselves in this ancient city. 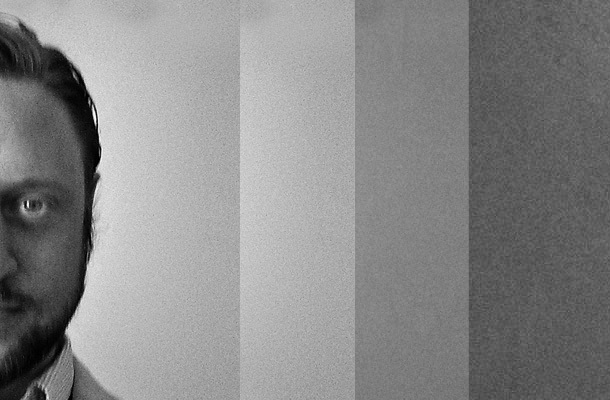 As the protagonist nears the temple, we are given suspenseful and contemplative dronework. The music sort of guides us through the opening of the doors to this great temple. As the doors open the protagonist becomes fully enraptured. The music builds to a wonderfully divine climax as the doors open. The protagonist is bombarded with the architecture, paintings, symbolisms, and rites of a long lost civilization. He becomes so totally enraptured that his head grows dizzy, he sways in place as a plume of frankincense burns his nostrils. This is a scenario that fully plays out in my mind each and every time I listen to “Österländska Tempel”. The story seems to end by returning to the enchantress from the previous time and place on the track “Den Döda Trollkvinnan”. Roughly translated to English as “The Dead Sorceress”, this track seems to be a reflection on the events that have just come to pass, as the protagonist stands by the funeral pyre of the enchantress or sorceress whom seems to have been a sort of antagonist for the tale. These three above defined scenarios are the only ones that I would be willing to give my opinion on. As always in the cinematic dark ambient style, listeners will be encouraged to fill in the blanks on their own, with their own ideas and narratives. From a technical standpoint, the album is quite successful in finding a harmonious unity among the three artists involved. Frank Merten and Henry Emich of Herbst9, as well as Simon Heath of Atrium Carceri, have all created music which could be easily recognizable along side this collaboration. Meaning, they are not breaking the wheel on this release. We will not find some brand new sort of sound here which we could have never imagined would come from these two projects. When listening to Ur Djupan Dal, fans of both projects will constantly hear familiar sounds and techniques which have been perfected by their creators over the not-so-short histories of both projects. For example, Atrium Carceri and Herbst9 have both included a fair share of percussion in their previous works. So here, we will not be surprised to hear a lot of well-placed tribalistic percussion sections on numerous tracks. comes from story “The Call of Cthulhu”. The addition of Lovecraftian lore into the equation really begins to uncover the connections Atrium Carceri and Herbst9 are making between their seemingly divergent sets of lore and themes. The idea of time-travel and obnoxious gods reeking havoc on humanity fits squarely within the Atrium Carceri framework. Meanwhile, Herbst9 are masters of the ancient world. So, in connecting the two ideas and the two masters of these ideas, listeners are dealt the best possible outcome of a connection between these times and worlds. It shouldn’t be a surprise that Cryo Chamber decided to give this release the vinyl option. Now the third vinyl release on Cryo Chamber, we have yet again a title which showcases the recent collaborations of Atrium Carceri. Just as on the first two, Black Corner Den with Cities Last Broadcast, and Miles To Midnight with Cities Last Broadcast and God Body Disconnect, Simon Heath has opted to take releases in this direction which are sure to bring in a large crowd, a prudent tactic for any label opting to branch into untraversed territory. 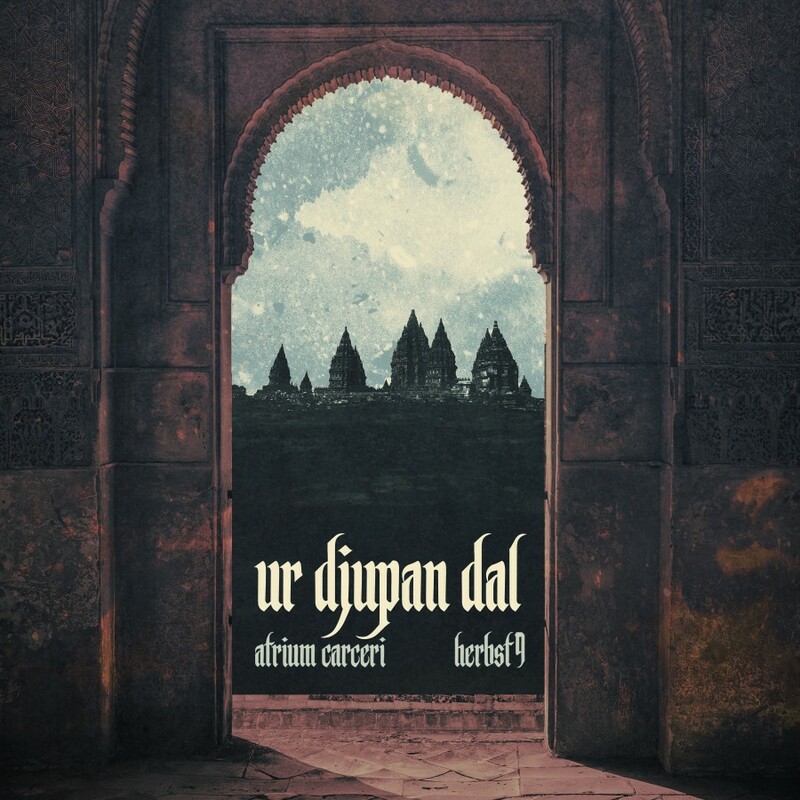 Ur Djupan Dal should be a welcome release for any listeners that have been following the “second wave of dark ambient”. 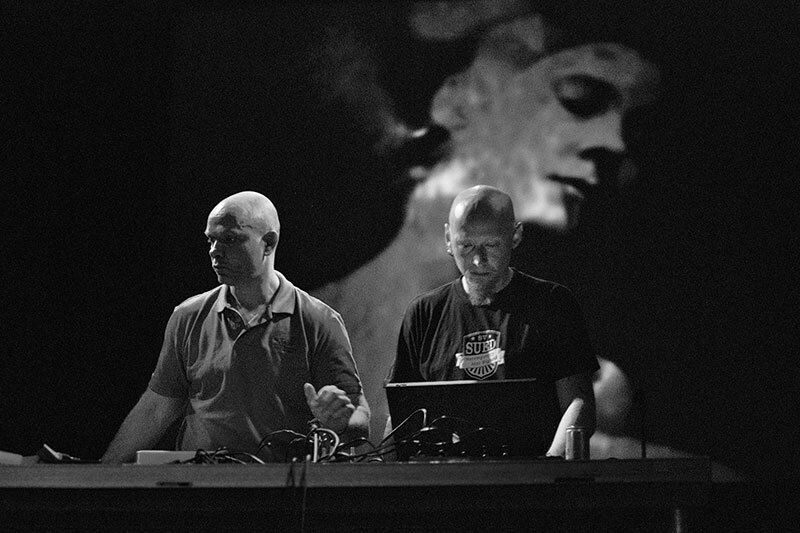 Atrium Carceri and Herbst9 have both been performing at the top of their game for over a decade each. 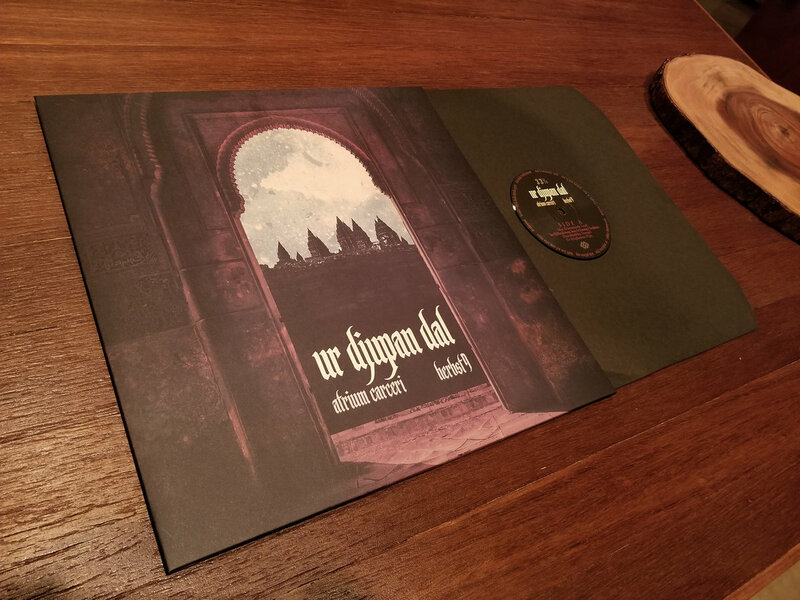 Ur Djupan Dal is a perfect example of how artists can come together to create not only sounds which delight, but storylines which have direct connections to each of their past works. I would recommend this album to any dark ambient listeners who enjoy the perfect blend of ritual, cinematic and traditional dark ambient music.